Exceptional Dentistry Gainesville, Florida, offers unparalleled expertise and state-of-the-art implant services. Our team of skilled dentistry experts offers a wide array of dental implant services including advanced IV sedation, dental implant placement and restoration all in one location. Our doctors have served as adjunct professors at the University of Florida and served as program directors at some of the most prestigious institutes in the country. To date they have educated over 2,000 doctors in advanced techniques to enhance their clinical skills. Dr. Art Mowery is a 1996 graduate of the University of Florida College of Dentistry. He completed a general practice residency at the Gainesville Florida V.A. Hospital and an externship at Baylor College of Dentistry Dallas, Texas. His extensive training includes program completions at the University of Southern California, University of Alabama and Harvard University to name a few. Dr. Mowery is a member of the Florida Dental Association, the International Team for Implantology (ITI) and the American Academy of Cosmetic Dentistry (AACD). He has been awarded an Affiliate Associate Fellowship in the American Academy of Implant Dentists (AAID) and is the first and only dentist in the Gainesville area to achieve this honor. Dr. Mowery has served as a clinical adjunct professor in the departments of Oral And Maxillofacial surgery and Prosthodontic Reconstructive Dentistry at the University of Florida. 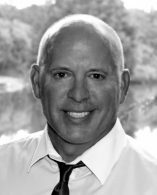 He has also previously served as a clinical instructor, and program director at Las Vegas Institute for Advanced Dental Studies for more than ten years. Dr. Mowery is a published author and international speaker on the subject of cosmetic, reconstructive and implant dentistry.